Bundle up and enjoy the glistening snow swirl around you on a private, horse-drawn sleigh ride through the pine forest. Rides are 40 minutes long and can fit up to three adults, or two adults and a couple of small children. Enjoy a true Christmas tradition by cutting down a tree with the family at Baragar Pines Farm. The farm offers fresh-cut and U-cut Christmas trees. Sip on some hot cider and hot chocolate at the Christmas Barn, and browse a variety of wreaths and garland. Nov. 24–25 — 11 a.m.–4 p.m.
Dec. 1–2 — 11 a.m.–4 p.m.
Dec. 8–9 — 11 a.m.–4 p.m.
Dec. 15–16 — 11 a.m.–4 p.m.
Dec. 22–23 — 11 a.m.–4 p.m. Enjoy this iconic, classic Christmas tale featuring Ebenezer Scrooge, loveable Londoners and just a couple of ghosts, all brought to reality by local performers at the Saugatuck Women’s Club. Dec. 7 — 8 p.m.
Dec. 8 — 2 p.m. and 8 p.m.
Dec. 9 — 7 p.m.
Dec. 14 — 8 p.m.
Dec. 15 — 2 p.m. and 8 p.m.
Dec. 16 — 7 p.m.
Saugatuck may be a quaint lakeside community, but its Christmas events are larger than life. Locals kick off the holiday season with the yearly Whootville Christmas Parade, Santa’s Workshop and Holiday Tree Lighting Ceremony. 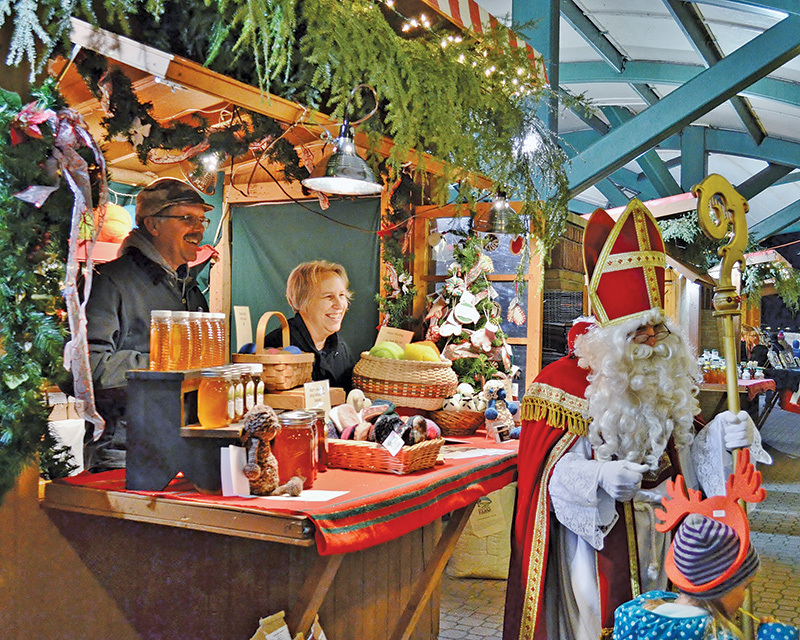 Experience a European-style outdoor market overflowing with holiday items, delicious food and artisan demonstrations. Kerstmarkt is located at the 8th Street Marketplace at the corner of Eighth Street and Pine Avenue. Nov. 17 — 9 a.m.–5 p.m.
Nov. 23 — 11 a.m.–5 p.m.
Nov. 24 — 9 a.m.– 5 p.m.
Nov. 27 — 3 p.m.–8 p.m.
Nov. 30 — 3 p.m.– 8 p.m.
Dec. 1 — 9 a.m.–5 p.m.
Dec. 7 — 3 p.m.–8 p.m.
Dec. 8 — 9 a.m.–5 p.m. Kick off the holiday shopping season with Light Night in downtown Grand Haven on Friday, Nov. 16 from 6–8 p.m. Main Street buzzes with holiday cheer and dazzling lights, and participating merchants offer special promotions. The 27th annual Jingle Bell Parade in Grand Haven is Saturday, Dec. 1, this year, and you won’t want to miss it. The local favorite begins on Franklin Avenue and ends in Central Park, where the lighting of the Community Christmas Tree with Santa and Mrs. Claus ends the evening. Nine-year-old Ralphie Parker only has one wish for Christmas: a genuine Red Ryder BB gun. 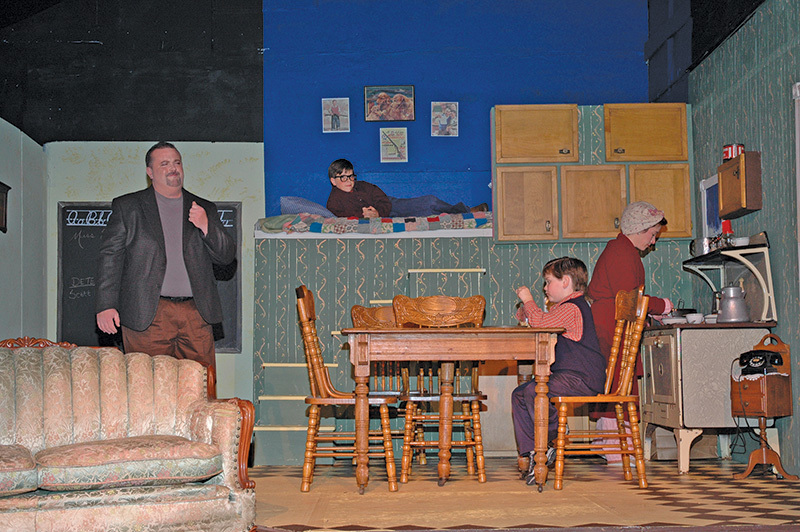 This comical adaptation of Jean Shepherd’s memoir of growing up in the Midwest is sure to evoke laughs and waves of nostalgia. Nov. 23 — 7 p.m.
Nov. 24 — 2 p.m.
Nov. 25 — 2 p.m.
Nov. 29 — 7 p.m.
Nov. 30 — 7 p.m.
Dec. 1 — 2 p.m. and 7 p.m.
Dec. 6 — 7 p.m.
Dec. 7 — 7 p.m.
Dec. 8 — 2 p.m. and 7 p.m. The Live Nativity scene at Critter Barn in Zeeland is a hands-on experience for children. Helping them understand and envision the first Christmas, they can enjoy photos of Israel, plus listen to inspirational music, see costumed characters and interact with live animals. Dec. 6 — 11 a.m.–5:30 p.m.
Dec. 7–8 — 11 a.m.–7:30 p.m.
Dec. 11–13 — 11 a.m.–5:30 p.m.
Dec. 14–15 — 11 a.m.–7:30 p.m.
Dec. 18–19 — 11 a.m.–5:30 p.m.
Dec. 20–22 — 11 a.m.–7:30 p.m.
Dec. 26–27 — 11 a.m.–5:30 p.m.
Dec. 28–29 — 11 a.m.–7:30 p.m.
Get an early start to your holiday shopping with the late-night shopping event, Shop ‘Til You Drop! 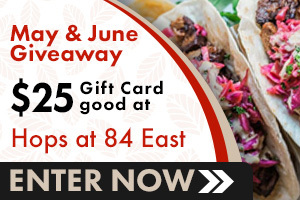 On Nov. 9 from 7–10 p.m., you can save big on all of your holiday gifts this year. 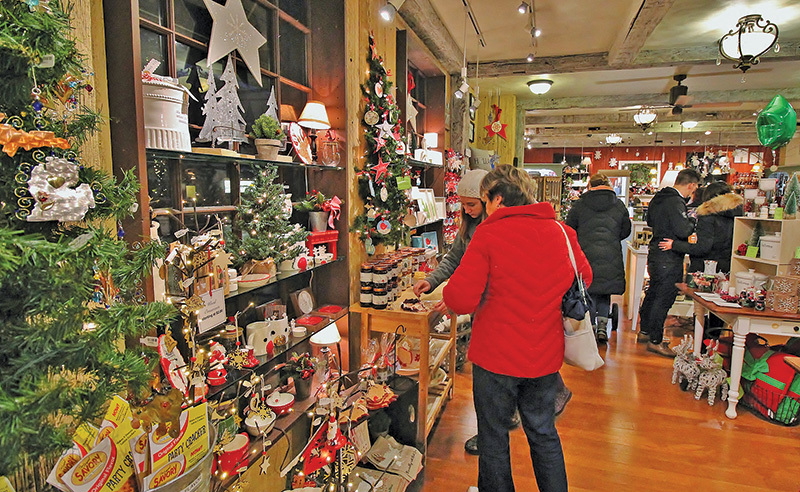 Participating downtown Holland merchants will offer discounts each hour: 20 percent off from 7–8 p.m.; 25 percent off from 8–9 p.m.; 30 percent off from 9–10 p.m. Celebrate the beginning of the holiday season with the Holiday Open House in Holland on Nov. 17 from 5–8 p.m. Walk the festive sidewalks while singing along with carolers, and don’t forget about the freshly roasted chestnuts. Bring the kids for a photo with Santa Claus, and pet the reindeer at the petting corral. At 8 p.m., head to the corner of Eighth Street and Central Avenue for the annual tree lighting ceremony and Christmas carol singalong. Get lost in a fairytale with this story-time brunch at the Holland Area Arts Council. Galleries are filled with enchanting giggles of children as they experience the magic of dance, storytelling and music. The performance includes high tea, snacks and a box of treats for each child to enjoy. Nov. 18 — 1 p.m. and 3:30 p.m.